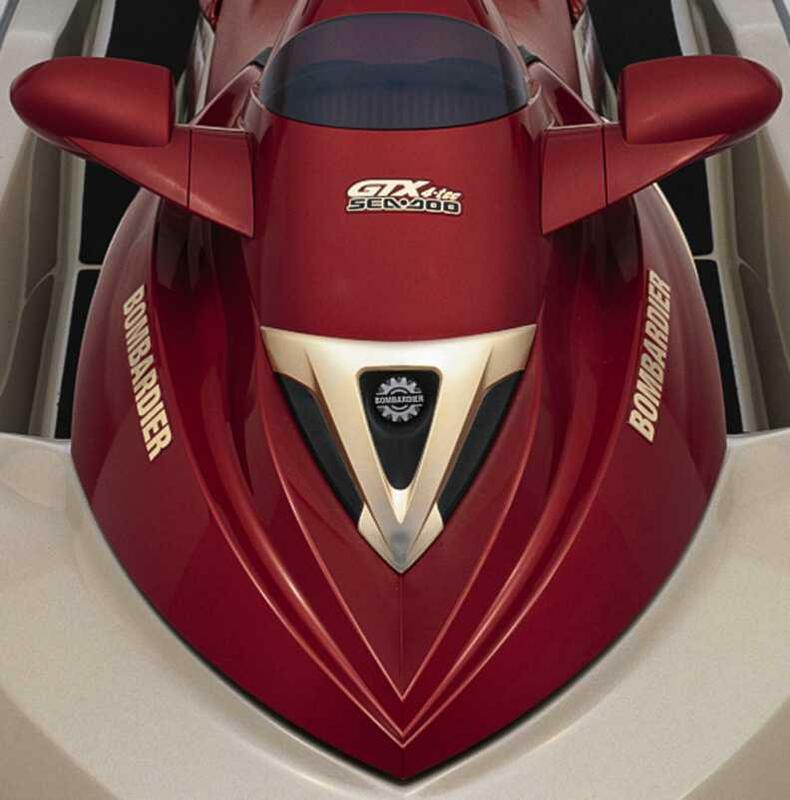 The 2003 Sea·Doo GTX 4-TEC Limited Supercharged and GTX Supercharged gave the phrase “Pumped Up” an all-new meaning. 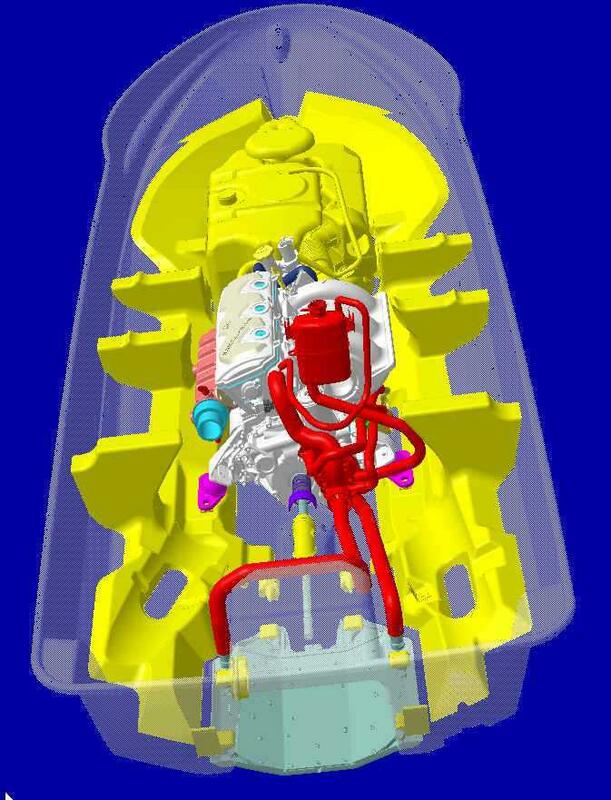 The supercharged 4-TEC marine engine offered consumers the most horsepower ever available in a watercraft. 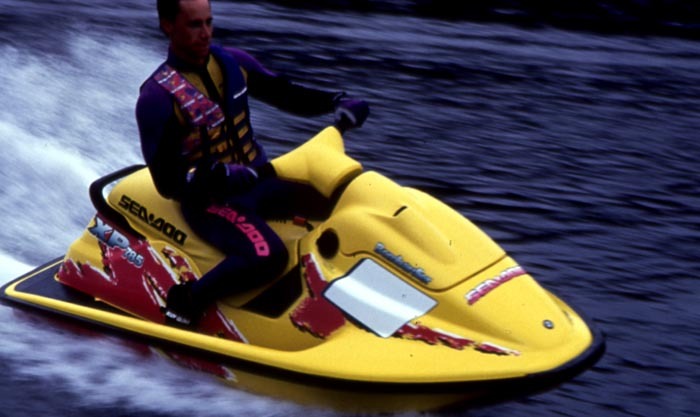 The Sea-Doo brand team leveraged their relationships with Tony Stewart and Bobby Labonte and Bombardier’s sponsorship of the Indianapolis Speedway by launching these 2003 Sea-Doo watercraft with unheard of horsepower in conjunction with the Brickyard 400 NASCAR race. 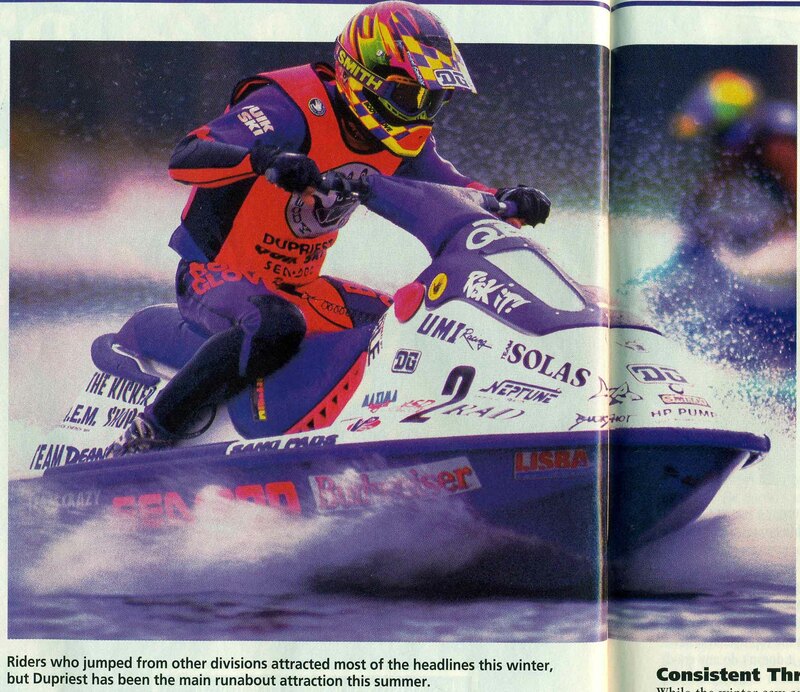 Media were invited to the race then the following morning Stewart and Labonte rode the watercraft to a dock on an Indianapolis lake to greet the media. 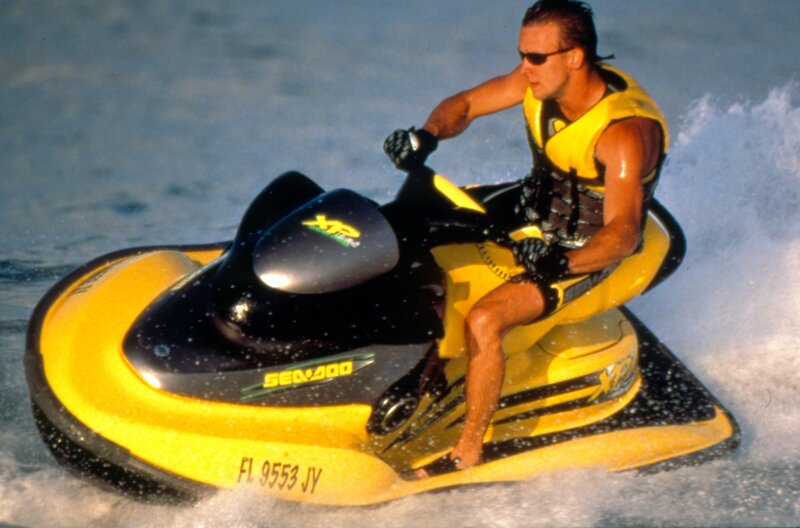 The Sea-Doo brand was heavily involved in launching the sport of wakeboarding in the early ‘90s and was doing it again in the early 2000s with the sport of wakeskating. Wakeskating was more technical than wakeboarding and didn’t require big wakes and focused on rail riding but also meant riders fell more. 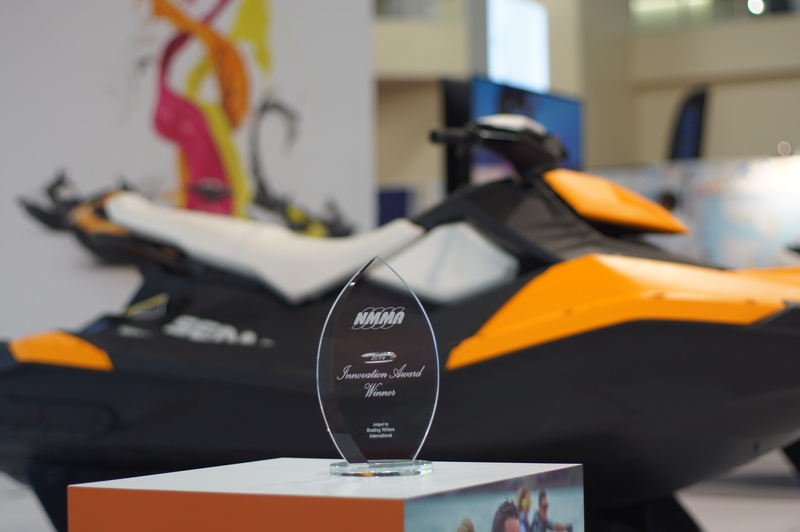 That change in tow vehicle needs led the way to the first tow specific watercraft in the industry, the 2003 Sea-Doo GTX 4-TEC, Vans Triple Crown Edition. 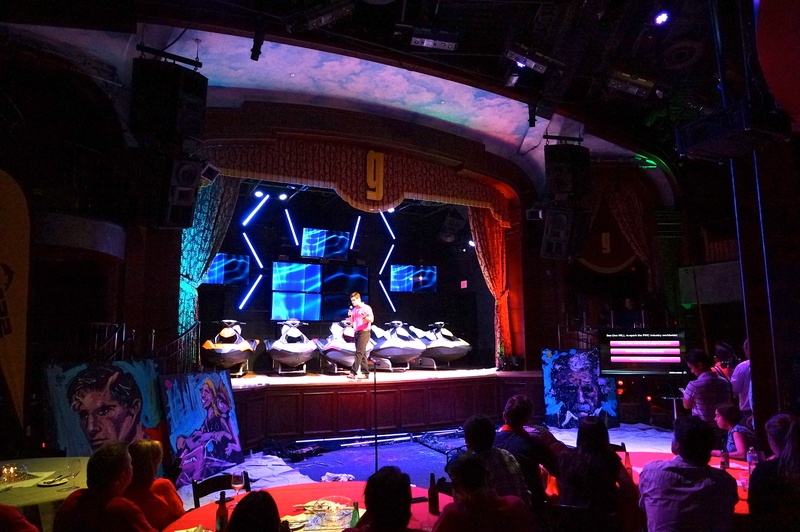 Van’s was leading the promotion of action sports in 2003 and a partnership was formed in addition to the Cassette wakeskate team riding exclusively behind Sea-Doo watercraft. 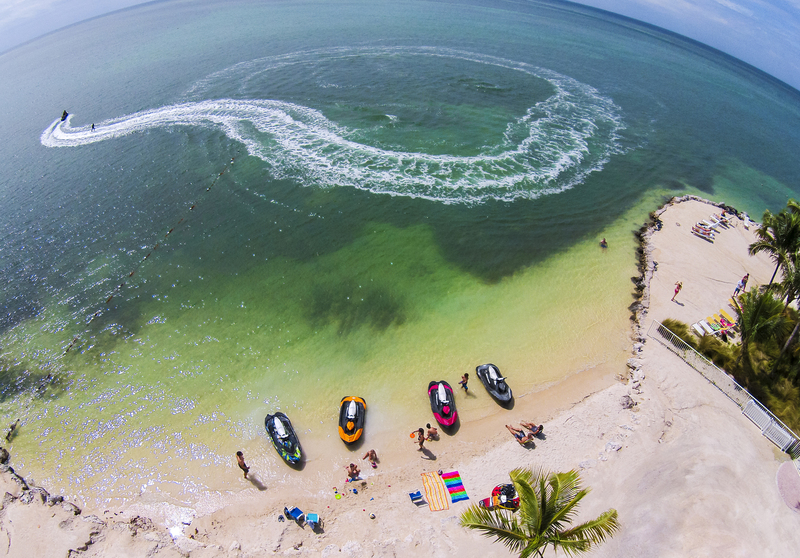 Wakeskate legends and Cassette team riders Thomas Horrell, Aaron Reed, and Danny Hampson all rode behind Sea-Doo watercraft exclusively and led the charge in watercraft becoming the preferred tow vehicles for their fledgling sport. 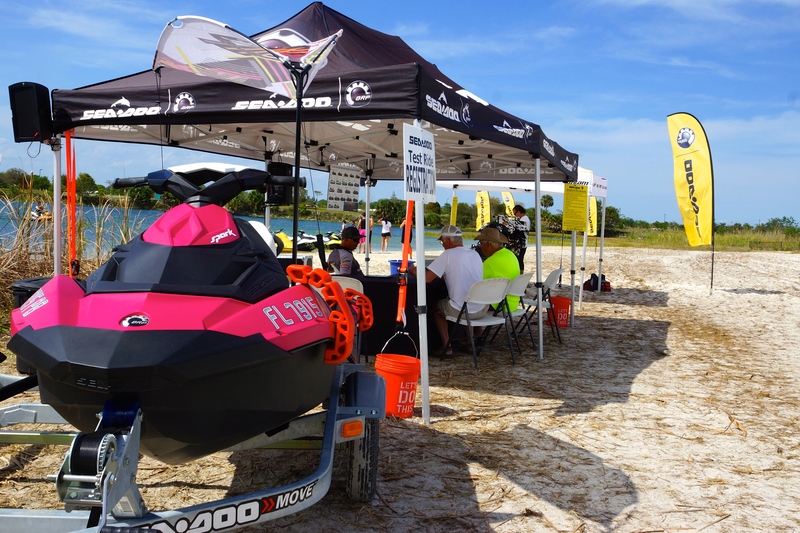 The fact that Sea-Doo watercraft could turn around quickly and the new 4-TEC engines minimized exhaust made Sea-Doo watercraft the ideal tow vehicle for these athletes to hone their sport. The Vans Triple Crown edition featured a retractable tow pylon with observer grab handles and the 4-TEC engine allowed the driver to hold a constant speed compared to competitive models that struggled at the 18-25 mph ideal tow speeds. 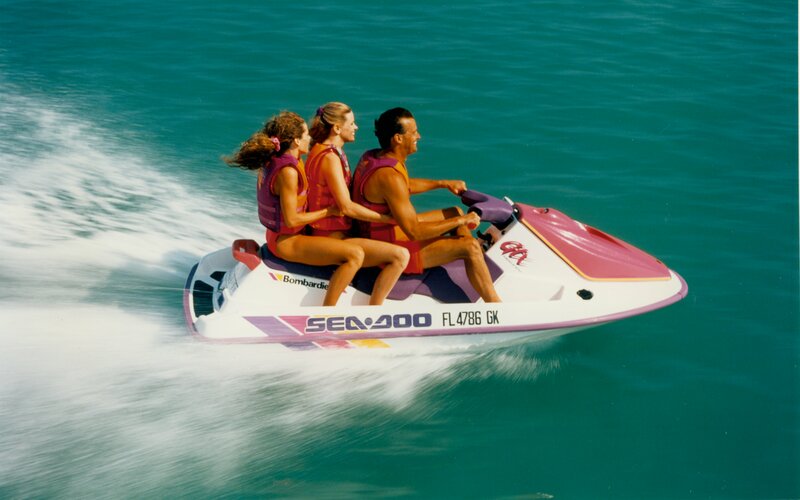 With one year in the field, 2003 Sea-Doo 4-TEC powered watercraft were leading the charge to overturn legislative restrictions put in place based on previous watercraft technology. 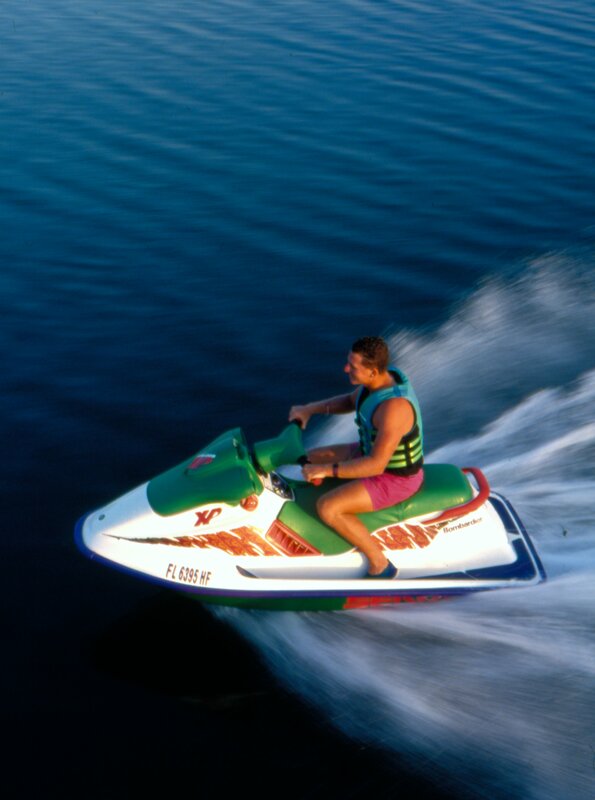 The new cleaner, quieter 4-TEC engines and Sea-Doo O.P.A.S. 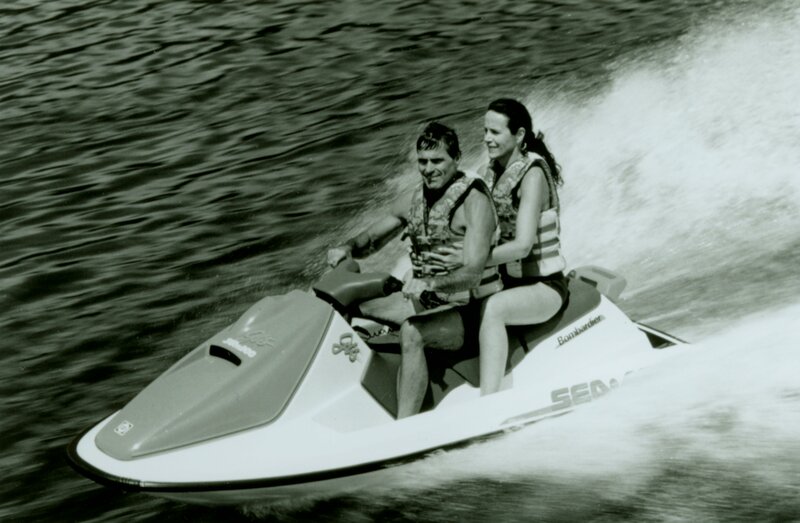 (off powered assisted steering) changed how legislators and the public viewed personal watercraft and led the way in shifting perception of watercraft from socially acceptable to socially desirable.